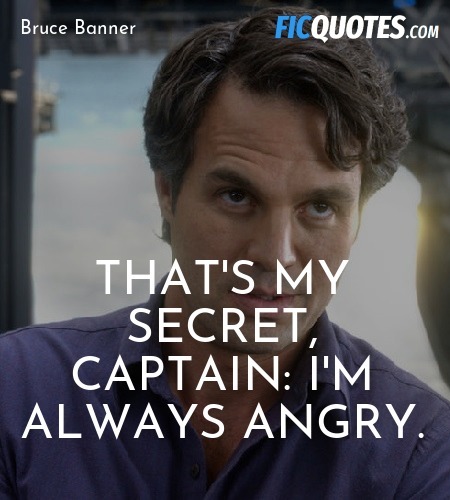 That's my secret, Captain: I'm always angry. Agent Phil Coulson: [on phone] Mr Stark, we need to talk. Tony Stark: You have reached the life model decoy of Tony Stark, please leave a message. Agent Phil Coulson: This is urgent.